LWVN Public Forum – No Parking? Join the League of Women Voters of Newton for a forum: No Parking? at the Newton Free Library on Thursday, May 17 at 7:00 pm. Co-sponsored with the Newton Free Library. What are Newton’s parking rules and where do they apply? Andrea Kelley, Principal in Landscape Design at Rockwood Terrace Consultants, will moderate. She is a member of Newton’s Design Review Committee and past president of the LWVN. A question and answer session will follow the speakers’ presentations. The program is free and open to the public. The Newton Free Library is handicap accessible. Thank you very much to presenters Stephanie Pollack, chair of the mayor’s Transportation Advisory Committee, Eric Bourassa, transportation manager for the Metropolitan Area Planning Council, Jacqueline Douglas, director of Livable Streets, and Candace Havens, Newton’s Director of Planning and Development, for the very successful forum on November 29, about transportation in Newton and the surrounding region. A standing-room-only audience heard about the findings of studies on Routes 128 and 9, the year-long study by the Transportation Advisory Committee (TAC), as well as transportation models that seek to balance the needs of all modes of transportation, including: pedestrians, bikes, cars and public transportation. Background information for the LWVN’s Transportation Study, as well as information discussed at the forum, can be found here. 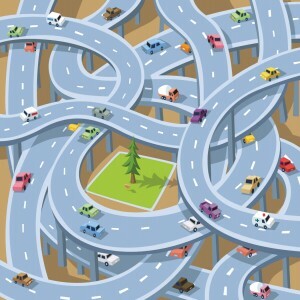 A public forum, “The Future of Transportation in Newton,” organized by the LWV Newton, will explore how the City can grow and develop without more gridlock and parking woes. Presenters Stephanie Pollack, chair of the mayor’s Transportation Advisory Committee, Eric Bourassa, transportation manager for the Metropolitan Area Planning Council, and Jacqueline Douglas, director of Livable Streets, will examine the findings of studies on Routes 128 and 9, the year-long study by the Transportation Advisory Committee (TAC), as well as transportation models that seek to balance the needs of all modes of transportation, including: pedestrians, bikes, cars and public transportation. Join us on Tuesday November 29, at 7:00pm, at the Newton Free Library’s Druker Auditorium, 330 Homer Street, Newton Centre. 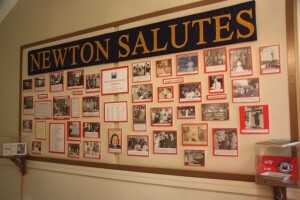 Be sure to visit the “Newton Salutes” League of Women Voters Exhibit at the Jackson Homestead – now through January 2012. In honor of LWVN’s 75th anniversary, the exhibit includes a pictorial history of LWVN going back to the 1940’s.